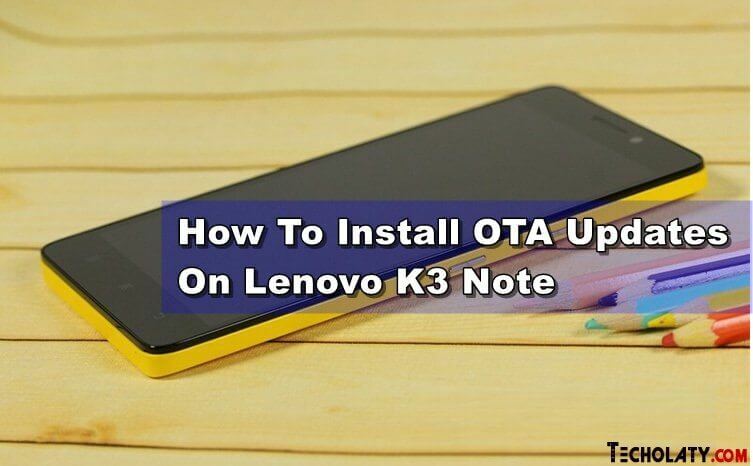 If you have installed Custom Recovery like CWM or TWRP for Lenovo K3 Note for installing custom ROMs and then for some other reason you reverted back to stock ROM on your device but now the problem which you might be facing is that you are not able to install OTA Updates on Lenovo K3 Note. Well, we have a simple method to enable it and without much hassle. All you need to do is follow the steps and download the stock recovery and flash it on your device and then flash the OTA Update. We will guide you in details but before that please do not forget to read the warning message below. Note: There might be an abnormal behavior of Google Apps, you can reset your device once. If the problem still persists then it is advised that you reinstall GApps. But for that, you will again need to re-install Custom Recoveries like CWM or TWRP and then flash the GApps. Lenovo by default gives limited access to themes for your device. You can download Lenovo K3 Note Themes for your device and install them for free. does this method work for k50a40 indian version also because i can’t find the lenovoota folder where the update package is downloaded? I am currently running stock S117 ROW ROM.